One of the biggest responsibilities an employer has before they can even hire one employee is to decide how to approach their HR management. Employers know that a strong Human Resource management is essential to keeping a small business in compliance with all federal and local labor requirements and allows the business to run more smoothly with productive and happy employees. However, when it comes to implementing an HR presence into the business, employers may not realize how many options they have do to so. Here are four different ways in which business can approach their HR management. Many small business owners, when just starting out, will handle their HR management in-house, either by themselves, or through an office manager or other similar employee. In doing so, they may feel they have found an inexpensive way to approach payroll, time & attendance management, and other basic HR duties. While this is partially true, this style of HR management works best for very small businesses, as it gets more difficult for an employer or manager to handle all of the HR duties of a larger team of employees. Inexpensive way to approach HR management. Employers can save resources by utilizing someone who is already on their payroll to handle HR management. Greater control over how HR is handled. If the employer is passionate about the HR process and wants to control how it is handled, they may prefer this route. More involvement in the hiring and termination processes. Listing a job opening, reviewing resumes, entry and exit interviews, disciplinary measures and termination are all duties that an employer would be heavily involved in with in-house HR management. Difficult to scale up. As the company grows, it can be more difficult for a small in-house HR presence to manage more employees and their needs. Lack of expertise. Typically, in-house HR duties fall on an office manager, and accountant or the employer themselves. While they may be able to get the basic duties done, a lack of expertise could lead to mistakes that can cause bigger problems for the employer down the road. Hinders business growth. When a business owner has to put more of their focus into the HR aspect of their company, they are putting less focus on the reason they actually started their business and unintentionally slowing the growth of their company. High risk of non-compliance. Labor laws and regulations are constantly changing, and without the expertise of an HR professional, employers are at a high risk of being found non-compliant with any number of requirements. Penalties can include fines, lawsuits and even criminal charges, making in-house HR potentially more expensive than it seems. Continued control over HR management. Similar to the option of in-house HR, the employer can still maintain a level of control over how HR is handled. Cost-effective for a larger company. A company with hundreds of employees working out of the same site may find it more cost effective to hire a full-time HR team of two or more professionals to remain on site. Efficient handling of HR needs. With a full-time HR team on site. HR duties or claims can be dealt with quickly and efficiently as they are needed. Can be costly. One or multiple experienced HR professionals will require a substantial salary. If the company does not have the level of revenue to justify a full-time HR team, it could hurt their bottom line. More employees to manage. Hiring a full-time HR teams means hiring more employees. These in-house HR professionals will still need to be managed by the business owner, taking more focus away from core business duties needed to grow the company. Outsourcing HR responsibilities is a popular choice for small business owners. A professional employer organization (PEO) offers business owners the opportunity to outsource their HR management to professionals. However, a PEO offers all of the necessary HR services such as payroll, tax compliance, benefits, workers’ compensation and HR compliance through a co-employer relationship with the business owner. Flexible for any size business. A comprehensive PEO can offer HR solutions for as few as one and as many as over a thousand employees. Access to large group benefits. As a co-employer, the PEO can offer employees and their families access to high-quality benefits options such as healthcare benefits, retirement benefits, wellness plans, short and long term disability, life insurance and more. Expertise and compliance in all aspects of HR management. PEOs are experts in all aspects of HR management, covering all basic needs and including some of the most difficult topics such as harassment claims, employee handbooks and keeping up-to-date on the constantly changing federal, state and local labor laws and regulations. Less control over HR management. As a co-employer, the PEO takes over all of the employment-related responsibilities. 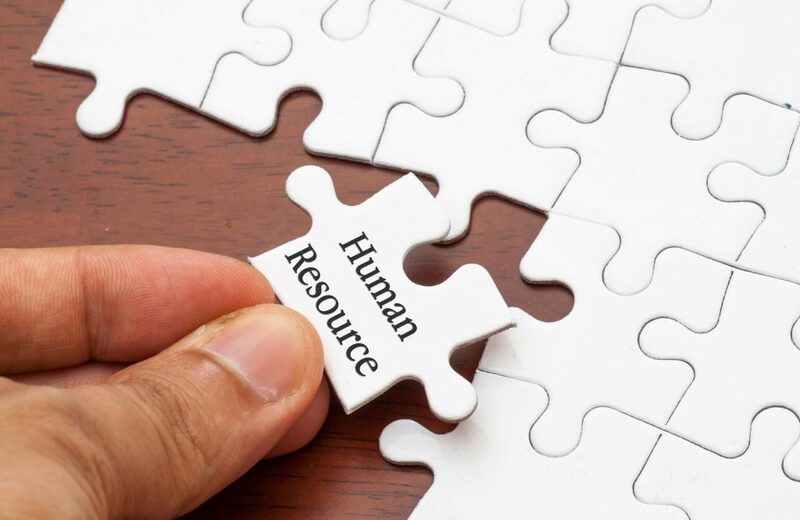 While the business owner has less on their plate to worry about when it comes to HR management, they also have less control over the way HR is handled. Pay per employee. Rather than paying a salary to an HR professional or team of professionals, the business owner pays a fee - depending on the number of employees - for the PEO's services. Flexibility in cost. By choosing from a variety of vendors that offer specific services, the employer has more flexibility in choosing which services they need to pay for, and which services they can keep in-house, if needed. Allows for more growth. By outsourcing certain services, the employer can put more attention on their core business duties, allowing them to grow their company. Compliance assistance. By outsourcing to professional vendors for their HR needs, the employer may have access to experts who can help with compliance issues. More work for the employer. Utilizing multiple vendors means corresponding with them to ensure there are no HR needs that are not being met. Additionally, the time and research that goes into selecting vendors or replacing a bad vendor can be a lot of work for an already-busy employer. Lack of personalization. HR vendors often cater to a wide variety of businesses in a number of industries, offering one-size-fits-most services. Can still be costly. Paying a different vendor for each different service can add up to be a costly expense for a small business.